Last night I's really craving to have the chicken noodles around 10.30 p.m. My H, as always, took me to check if ther's any shop open. My bad, all the shops were closed and we came home empty- handed . Next morning, I mean today, made the delicious shrimp noodles as I don have the chicken at present and finally had these yummy noodles for my lunch.. So here's a visual for u guys.. Mix together the sauces given in a small bowl and keep aside. Heat the wok with the oil and saute the minced garlic over medium heat. Later throw in the shrimp and make it half cooked. Now stir in the shredded cabbage ,carrot for a minute. Add the cooled noodles in the wok and gently coat them with the veggies and the shrimp. Pour in the sauce mixture and the water lil by lil and mix well with the noodles over medium low heat . Continue to stir until the noodles are thoroughly mixed and cooked through.. Serve hot with chilli / tomato sauce..
U may add the dark soy sauce if it's not available. Add a tsp of vinegar instead. U may try the same recipe for chicken noodles as well. love ur dish.mouthwatering here....and the shirmp fry by the side looks inviting too....can i come over for dinner? 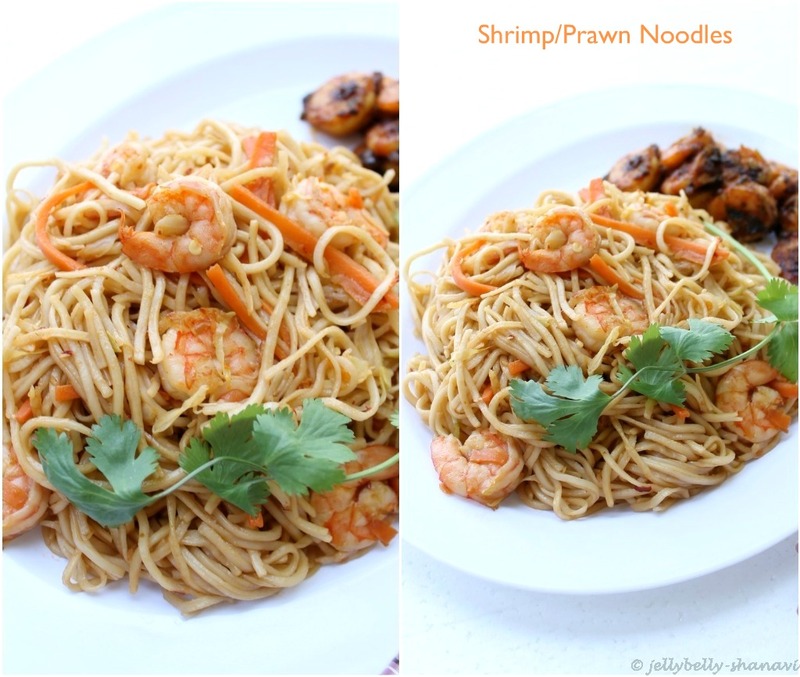 This looks superb...love that fry on the side too..Lovely clicks..
Noodles looks so delicious and awesome. Excellent preparation. Loved the clicks. Looks perfect ...Its my all time fav dear..yumm. we have gone through such situations many a times. the end result is gorgeous though. noodles look tempting. இறால் சேர்த்து நூடுல்ஸ் செய்திருபப்து ரொம்ப‌ நல்லாயிருக்கு..
wonderful and tasty looking dear !! 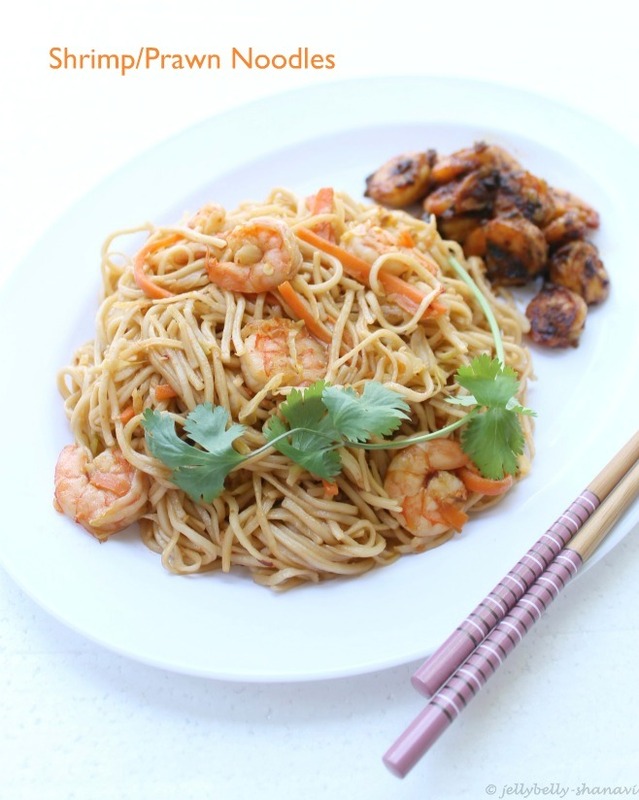 Stirred up noodles with shrimp looks delicious.